The Civic Society has been campaigning for a number of years to bring about the restoration of St Michael’s, a neglected Georgian church (Listed grade 2*). 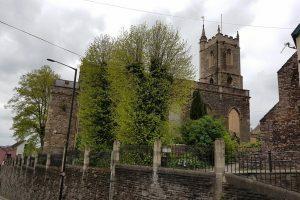 For four years, we campaigned to persuade the Diocese to resolve the longstanding challenge of finding a new use for St Michael’s church, boarded up for nearly twenty years. We are promised a decision in late March / early April so the new owners will probably be known by the time Better Bristol is published. Our fingers are crossed! Nearly there! Then we can go into details – church taking ages with things! We look forward to hearing more shortly and to supporting the restoration of this wonderful building and to seeing it brought into its new life.